SACRAMENTO, Calif. (AP) — There’s little doubt the Sacramento Kings are a much different team with DeMarcus Cousins in the lineup. The All-Star forward was certainly a difference-maker in his return Monday night. He scored 16 of his 31 points in the fourth quarter of a 112-98 victory over the Dallas Mavericks. Cousins missed the previous three games due to a lower back strain. The Kings are 1-7 without him this season and 6-5 with the big man in the lineup. They are 12-40 when he’s been absent since Cousins joined the club in 2010. Rajon Rondo had 21 points and Rudy Gay added 20 for the Kings, who had dropped six straight to Dallas and 21 of the previous 23 meetings. 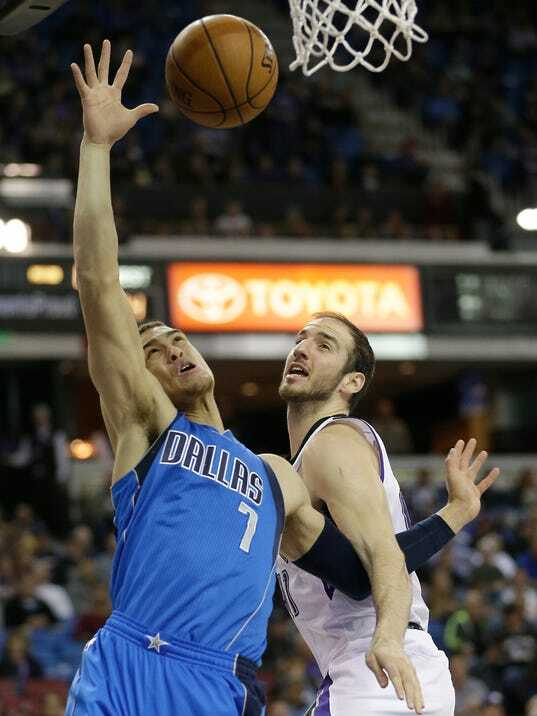 Sacramento outscored the Mavericks 22-13 in the third period to take the lead for good.